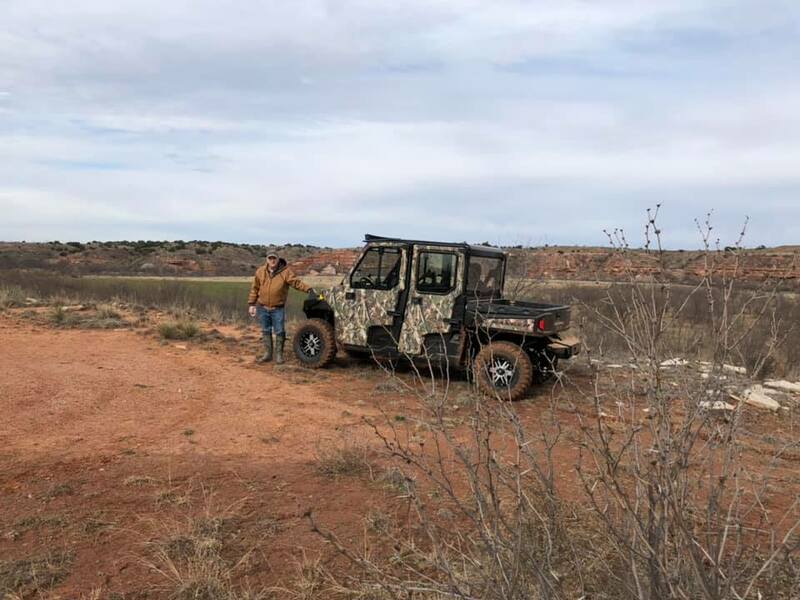 Roundy, I believe we have come to the same conclusion that UTV's will hold their value and do a lot more work than the Golf cart types for the same money. I am going to a Polaris/Kawasaki dealer this Saturday that I was refered to only 40 miles from home. Will be able to take the wife and we can test drive some new 2019 models. Dear Alcohol, We had a deal where you would make me funnier, smarter, and a better dancer... I saw the video... We need to talk. I'm confused Zep. What do you meen uh...no? I went to Polaris website where you can build your own and did just that. I then compared it to what my local dealer quoted me and my dealer was $1,000 cheaper. Plus with my ag exemption I save around $1000 on sales tax!! Things are looking a little better. that the tricked out Polaris shown in the link I provided is too crazy even for me...lol. No worries man I think Polaris is a great brand. but not practical for most of us for sure. I just bought a Polaris and need to steer you away from the dealer I used. Actually, if you are looking 20 miles outside of the metroplex you are good. This the 900 I purchased recently. Very nice Lance. If I go with gas that's pretty much what I want. Any feedback thus far? How do you like it? How is the ride? Noise? Power Steering? I kind of want an electric UTV because electric works perfect for what I will use it for. The problem is I can only find one company that makes a full size crew 2 bench seat UTV that is electric. The company is Huntve based in Fort Worth and all they make is electric models. So I would hope they know what they are doing as far as electric UTV's. However a few years ago they did not have great reviews. I may go pay them a visit in Cowtown. The ride is incredibly smooth and its quiet compared to the Kawasaki Mule I have at the farm. Both front and back bench seats have three seat belts. Love the power steering. Haven't had it long enough to give a reliability report. Again if you were to think about going that route I would want to steer you clear of the dealer I went through. Whats the advertised run time on one of those electrics? Tbar, that 900 is what we are looking at. Only option I want is the hard top and nothing else. Their options are way too exspensive for things I can aftermarket and install myself. Don't need doors or even a windshield actually. If its too nasty weather I won't be out in it anyway. Light, winches, mirrors, etc...I can do myself.For what I'm going to use it for I'm not even going for power steering. That's $2000 extra!! My dealer said later if I want it he could install me a aftermarket power steering for $800. Wish me luck, I'm going to the dealer today!! Q: How far can I drive off road before I need to recharge? A: It varies by model depending on the battery pack and other conditions. The best range in electric is the Game Changer edition and its 260 amp hour rated battery pack, up to 25 miles in moderate terrain. The lowest range capability is the hybrid Switchback in all electric mode at 15 miles but you get the benefit of gas engine generation that will take you another 50+ miles. Range is reduced as the battery pack ages, in hilly conditions and in extreme temperatures as well. Remember to always “mature” new battery packs by not exceeding a 50% state of discharge within the first 15 charge cycles. When 4x2/4x4 switch is available, always drive in 4x4 mode in off road conditions to maximize efficiency and protect motors. Q: What is the life expectancy of the battery pack and cost before they need replacement? A: Under normal conditions, the battery pack can last up to 4 years before needing replacement at an approximate cost of $1,500 for 8-battery systems. Note that the battery pack capacity will start to decline in year 3 and is a candidate for replacement during this time, depending on how many cycles the batteries have been used and what distance is required. Tracy I don't blame ya bit....the 900 is so much more practical at places like ours. Good reviews on this diesel powered 'jeep' look-alike made by Mahindra. It is turning heads at the Detroit Auto show and is made in MI. They will add auto-transmission this year and are working on an electric model. top speed 55mph! there is an abundance of neat really different options out there today. Well guys, I pulled the trigger today on a brand new 2019 Polaris 900 Ranger Crew that seats 6 and has a full tilt utility bed. Darn thing is 150 inch long!! I had the hard top put on it and that was the only option. I drove it all over my place today. Too late to call the dealer but temp gauge kept getting up to 206 and back down to about 185 and then back up. It never got over 206. But is that normal? Seems hot to me but maybe they all run hotter than a car or truck. Anybody else have knowledge how hot theirs are running? Should I be concerned? Congrats Flame....I just ran across this about the new 2019. Looks like they are making some great stuff. Thank you everyone!! I am very proud of my new machine and Red, I will be joining another forum looks like for my Polaris help. Thanks for the heads up! !